So what do residents in some of these pro-Trump counties think about the recent student protests? STAFFORD, Va. — Protests across the country against President-elect Donald Trump have continued nearly a week after the election outcome, spreading even to high school students in the D.C. area. 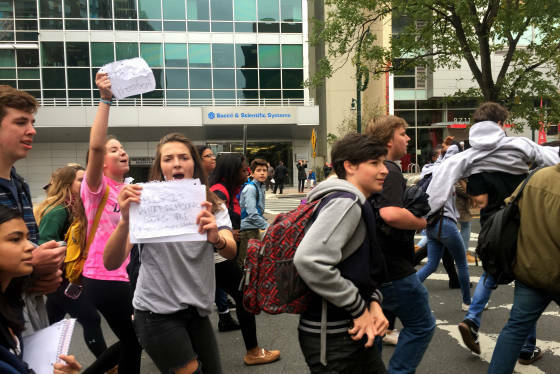 In the past two days, hundreds of high school students from D.C. and Montgomery County schools skipped classes to march through the streets in protest. But while Hillary Clinton won the electoral votes from Maryland, D.C. and Virginia, there were still plenty of counties in Maryland and Virginia that voted mostly for Trump. The first stop was Calvert County, Maryland, where according to unofficial results, 56.8 percent of voters cast ballots for Trump and 38.4 percent turned out for Hillary Clinton. “We live in a free country and they have the right to protest; however, they should also learn to accept what is,” said Deborah Distad. 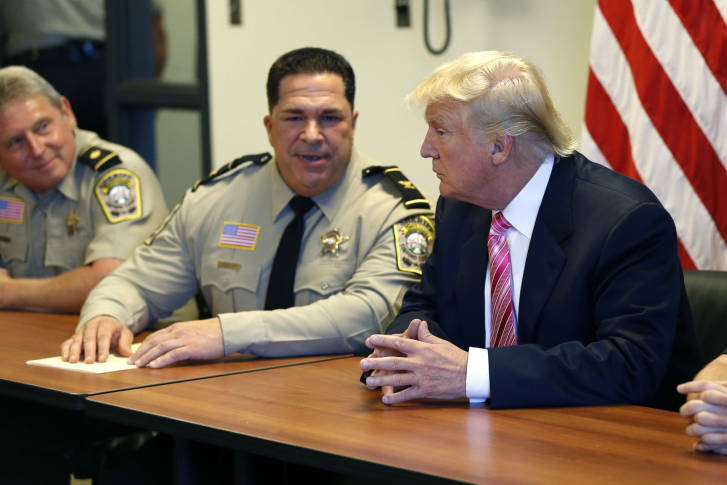 The next stop — after a scenic drive — was Stafford County, Virginia, where unofficial results show 51.3 percent of voters supported Trump, compared to 42.3 percent for Clinton. Dorcas Rodgers, who has a 13-year-old daughter, felt differently. “I think if it were my daughter and she walked out, I would support it. She’s a great student, straight As, she’ll make it up,” Rodgers said. “We teach them to think for themselves and to make decisions, so hopefully the decisions that they’re making, the consequences, whatever they may be, will be worthwhile,” she added.